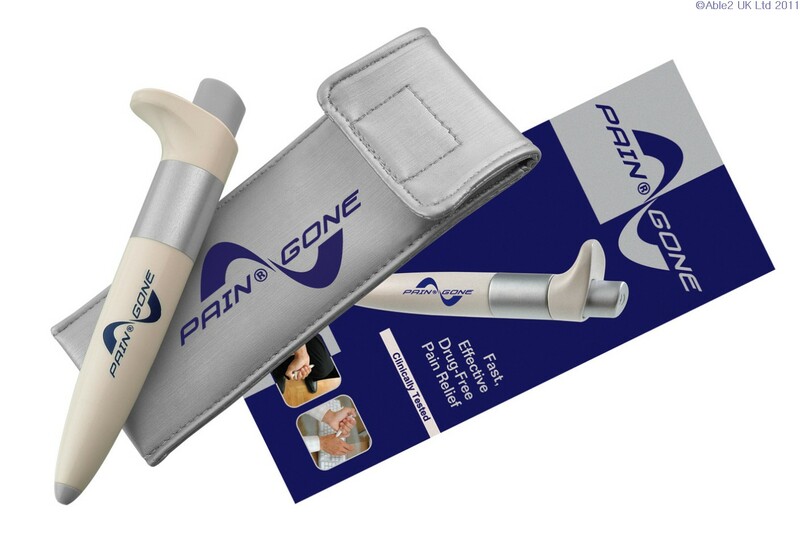 PainGone is a handy, fast working device shaped like a large pen and is as easy to use. It works on the principles of Transcutaneous Electrical Nerve Stimulation (also known as TENS or TNS) but unlike ordinary TENS machines it has no attachments or batteries and can be used anywhere, anytime. It uses a low-frequency electrical charge produced by crystals to provide prolonged pain relief which is clinically proven to work. PainGone transmits electrical impulses that activate the nerve pathway which sends a “call for help” message to the brain. The brain via the spinal cord speeds endorphins (the body’s own natural relief mechanism) to stop the pain. 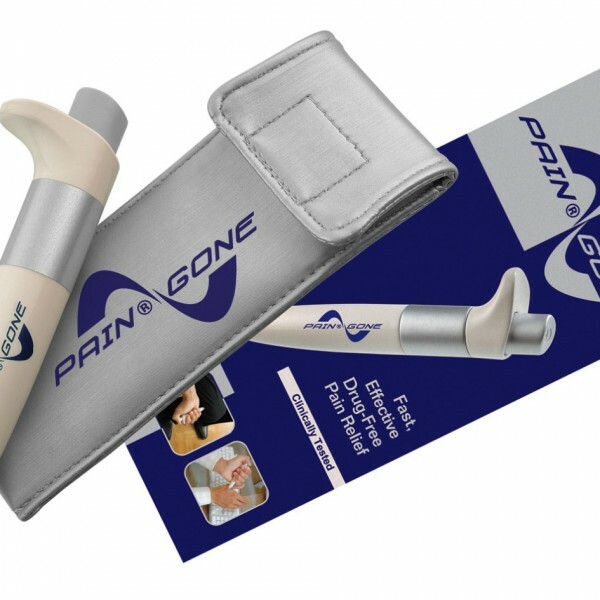 PainGone is effective on physical pain such as: back pain, arthritis, tennis elbow, fibromyalgia, sports injuries, menstrual pain, sciatica, post operative pain, skeletal pain, headache, aching muscles, shingles, neuralgia, lumbago.